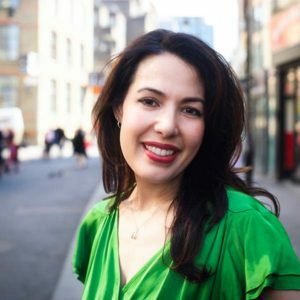 Katherine is an accomplished user experience designer and researcher with 10 years of experience in both corporate and startup environments in the fields of healthcare, finance, broadcast media and eCommerce. Known for research that is swift, thoughtful, and outcome-focused, she specializes in design thinking, user interviews, usability testing, persona development, experience and journey mapping, and rapid prototyping. Katherine’s professional history includes the position of Director, User Experience for Privia Health, where she oversaw user experience initiatives for the nation’s fastest-growing physician practice management and population health technology company, comprised of over 600 physicians in the Mid-Atlantic, South Central, and Southeast United States. At Privia, she initiated and led a cross-disciplinary project to revamp 100+ care center websites for facilities of varying sizes and medical specialties, reducing time-to-launch and subsequent updates. She also redesigned a responsive “Find a Doctor” web application to accommodate increasing numbers of mobile users. Katherine’s previous positions have included those at HelloWallet, a B-to-B software startup offering financial guidance to the employees of Fortune 500 customers including Salesforce, United Technologies, Walmart and Allstate. Previously, at Discovery Communications, Katherine designed user experiences across multiple broadcast network sites (Discovery Channel, Animal Planet, TLC) and digital media acquisitions (Petfinder) with combined traffic of 500+M page views and 35M unique users per month. Katherine began her career at Marriott International, where she delivered revenue-building projects for the company’s flagship reservation website with 12M monthly visits generating over $6B in annual gross revenue. She holds a Master of Science degree in Information Architecture & Knowledge Management from Kent State University, where she also earned her Bachelor of Arts degree in English, graduating with honors. She also holds certificates in front-end web development and data analytics from General Assembly in New York.